Home / Medical Cannabis Guide / Can CBD Oil Cure Your Anxiety and Depression? Instead of looking at medication for a cure, anxiety and depression sufferers now have a natural remedy in CBD oil. Everyone experiences anxiety at some time in their life. Some are able to feel it and still work through the activity that induced it, and it melts away. Public speakers and performers talk about experiencing it all the time right before getting on stage, but once they begin their performance, they’re okay. So, for some, it’s just a feeling they get. No big deal. For others at the other end of the anxiety spectrum, it’s a very big deal. Anxiety has proved so debilitating and has put such a stronghold on their life that they are not able to function properly. Going out in public may be hard and even feel impossible to some. Holding a job becomes difficult. The thought of speaking up or starting a conversation makes their heart feel like it’s about to beat out of their chest. It literally shuts down certain actions in their life. Depression is another mentally debilitating condition and oftentimes occurs alongside anxiety. As is the case with anxiety, a strong bout of depression can shut a person down and bring their life to a halt. Depression causes you to experience very bad feelings about yourself and in general, changes in eating and sleeping habits, loss of energy, and loss of interest in things once enjoyed. Anxiety and depression sufferers that would rather not go the medication route are left to suffer through and accept their conditions, rearranging their lives to accommodate them. Continued research to find a natural remedy led scientists to a certain plant that is highly condemned, yet has proven highly beneficial for a number of suffering patients. The plant is cannabis, also known as marijuana. And the remedy derived from this plant is CBD oil. Cannabis is made up of several chemical compounds called cannabinoids. The most well-known cannabinoid is THC, or tetrahydrocannabinol. It is a psychoactive compound, meaning it’s responsible for the “high” feeling. Another cannabinoid, cannabidiol, was found to not be psychoactive, and is still beneficial in treating anxiety and depression. But how exactly does it work to treat these disorders? 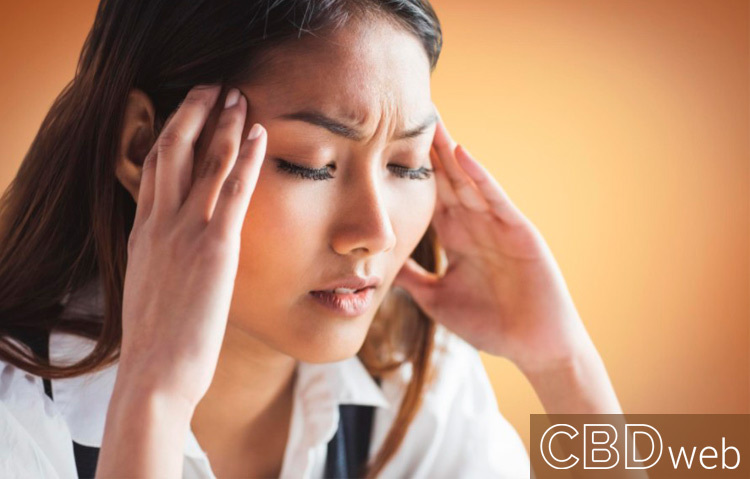 CBD oil has been found to treat anxiety and depression in two ways. It directly affects the brain and quells inflammation in the body, with the latter being a surprising find. Research has found a direct correlation between the amount of inflammation in your body and anxiety symptoms. This means people who suffer with ADHD, depression, anxiety, and even autism may be suffering from a high level of inflammation throughout their body. CBD oil is anti-inflammatory and helps lower anxiety by lowering inflammation in your body. CBD oil also works in the brain by manipulating two areas that are involved in anxiety – the amygdala and the prefrontal cortex. It works to decrease amygdala activity and raise it in the prefrontal cortex. In conclusion, anxiety and depression sufferers can now find a treatment without needing a prescription or worrying about harmful side effects. CBD oil is a non-psychoactive solution to debilitating mental disorders and, unlike most other options available, it’s all-natural.